Designed for easy application around single & double electrical socket installations. Fit most common light socket boxes or 13amp ring main sockets either internally or externally. 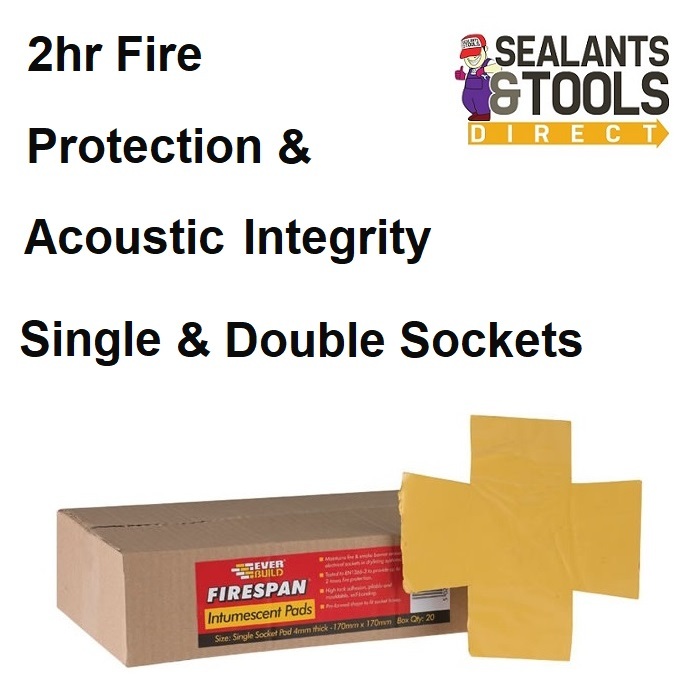 Maintains a fire and smoke barrier around sockets in drylining systems. Tested to EN 1366-3 to provide up to 2 hours fire protection. High tack adhesion, pliable and mouldable with excellent self bonding properties. Around metal or plastic socket boxes.